Most courses are approved by the Association for Conflict Resolution and can be applied for ACR Family Advanced Practitioner Membership Status and Collaborative Practice Groups training requirements. 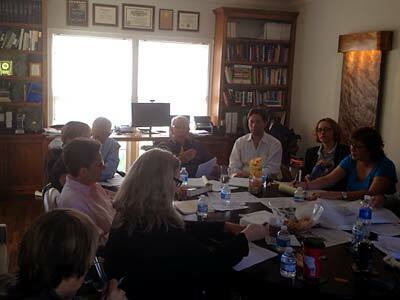 Woody Mosten is dedicated to providing quality interdisciplinary training for Mediators on all levels. In addition to covering the basic and advanced skills, our curriculum incorporates peacemaking values and family centered strategies into all of its courses as well as planning and tips for you to successfully build your practice. You can unbundle your training experience by taking just one course or make a commitment to complete most or all of our trainings. 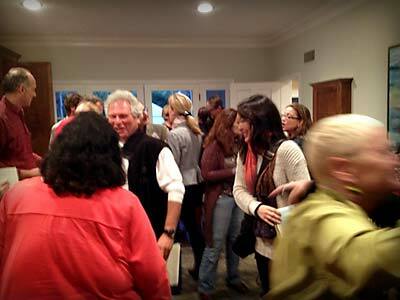 We offer the following courses in San Diego, California or customized to be presented in your community. 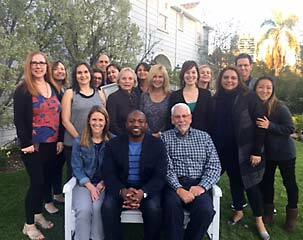 February 2019 40 Hour Divorce Mediation Training Participants at Pacific Coast Mediation Center in San Diego. Assistant Trainer was Lara Traum from New York with guest appearance on Zoom by Bea Larsen from Cincinnati. 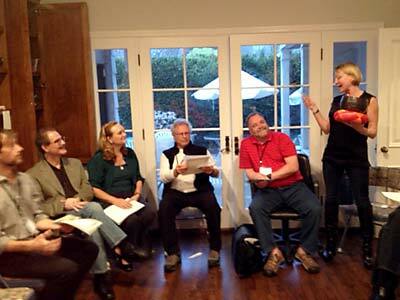 Peacemakers journeyed to training from Oregon, Pennsylvania and Northern California. 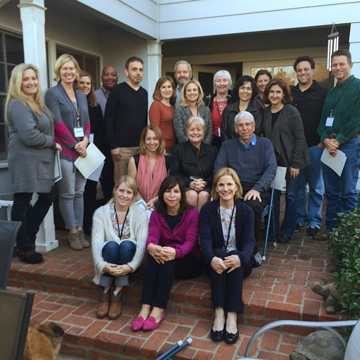 October 2018 Mediation Course with Lawyers and Mental Health Professionals from Delaware, Oregon, and all over California. Click for Participants’ comments about this course. This 2 day course is designed for mediators who have minimum training of a basic family mediation course (30 hours). Explore alternative role models and possible career opportunities in peacemaking, conflict resolution and interdisciplinary teamwork. Materials for this course include David Hoffman’s Ted Talk on Lawyer as Peacemaker, Be a Peacemaker (Chapter from Mosten-Scully, Complete Guide to Mediation) and other materials from Woody’s Peace Institute sponsored by the Pennsylvania Bar Association. This two day training is designed for family law attorneys, judicial officers and legal professionals, and is open to other family professionals who are interested in learning about unbundling legal services and how to coach unrepresented clients and mediation participants. We will show how you handle the nuts and bolts of this limited scope legal service, design your practice to efficiently represent unbundling clients, and expand your practice by increasing legal access to the underserved. This two-day workshop has been designed for mediators with a variety of backgrounds ( lawyers, mental health, financial and other professionals, businesspersons, and clergy) who have private practices or wish to open up their own dispute resolution practice. The course employs a cutting edge interactive curriculum to help participants grow their dispute resolution practices and increase their profitability as mediators, lawyers as negotiators and mediation advocates, working in interdisciplinary teams, and how to market and manage your practice. Text for this course shall be Woody’s Mediation Career Guide, Mosten-Cordover Building a Successful Collaborative Practice (ABA, 2018 and other materials). Forrest (Woody) Mosten delivered a 2 day conference entitled “Building a Collaborative and Mediation Practice” at the Renehan Hall in the beautiful grounds of the National University of Ireland, Maynooth on Friday 13th and Saturday 14th April 2012. The Conference was a powerhouse of inspiration and hope and delivered much, much more than the title suggests. There was a good mix of students from legal, mediation and therapeutic backgrounds. 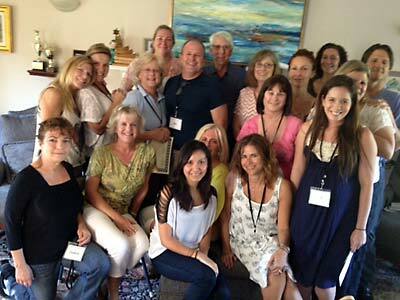 I previously had the benefit of Woody’s great teaching in his 5 day Family Law Mediation Course in Los Angeles in September 2011 and I was looking forward with anticipation to experiencing more Woody magic! Woody immediately challenged us to expand our vision with the concept that we can deliver our peacekeeping services in all aspects of our working lives and encouraged us to develop a flexible approach to dispute resolution shaped by the needs of our clients. He further developed our thinking by describing the range of services he provides to his clients. These services range from one off, stand alone transactions delivered at any point in any process, to providing services for the full process. This unbundling of services and consequent additional income means it can create is certainly welcome news to us hard pressed lawyers in recession hit Ireland. Woody showed us that peacemaking comes in many different packages and that it is not necessarily constrained or limited by any particular label provided it is done with informed consent, is transparent and the Participation Agreement is signed in Collaborative Practice. It became apparent to us that the fact that Woody practices only outside of Court clearly allows him a great deal of freedom and flexibility in the provision of his services. It was a joy to watch and listen to Woody’s seemingly effortless practice of conflict management techniques. He truly is a master of his craft! We do not offer this course. Rather, we suggest that you enroll in a course offered by a local Collaborative Practice group or others throughout the country. If you wish to obtain this course in Southern California, we recommend the course offered by the Collaborative Family Law Group of San Diego or Los Angeles Collaborative Family Law Association. This training focuses on the how teams can be effective for families in mediation and collaborative practice. Participants will learn the foundations for forming a team and implementing teamwork based on successful team models from other fields and practical experience in the family field. The first day will concentrate on interdisciplinary co-mediation and assembling a team of lawyers, mental health and financial professionals and working with that team inside and outside of mediation sessions. Use of the disqualification clause for the interdisciplinary team members will be discussed. Dr. Ahrons and Woody Mosten have co-mediated together as an interdisciplinary team and will demonstrate their co-mediation model during afternoon of the first day. Dr, Ahrons practices in La Jolla, California and is the author of the seminal books, The Good Divorce and We’re Still Family. The second day will focus on effective teamwork in collaborative practice. Forming teams with clients, between lawyers, and with mental health coaches, child specialists, neutral financial professionals, clergy, and other team members. Particular attention will be devoted to conducting productive team meetings and communication within joint sessions. Kathleen Zumprano will be presenting. Ms. Zumprano practices in Vancouver, Washington and has extensive experience in the practice and training of interdisciplinary teams and is the author of Collaborative Child Specialists in Mosten and Cordover, Building a Successful Collaborative Practice (2018). Texts for the course will be: Mosten and Cordover, Building a Successful Collaborative Practice, Family Court Review Special Issue on Interdisciplinary Teams (July, 2018), and other relevant articles and practice forms. Negotiation is often seen solely as dependent on the use of power and leverage. Based on overwhelming research and the best seller Getting to Yes, this workshop will go beyond traditional adversarial negotiation styles and focus on the concept of mutual problem solving. Participants will learn and practice templates that can be used in negotiations in both litigation and non-litigation family and business relationships. These skills can be used in negotiations in many contexts as well as in the mediation room. Finally, you will learn how to use positive self- interest to take apparently intractable conflicts to convert discussions to option generation and testing positions. This is a workshop for mediators, lawyers, mental health, financial, and other professionals. Despite good lawyering or the efforts of a caring trained mediator, parties may reach impasse in their negotiations. They may need the evaluative opinion of an expert to help them move toward settlement. Based on Woody Mosten’s articles on Confidential Mini-Evaluations (CME) published in 1993 and 2011 and protocols developed in his mediation practice, this workshop will show you how to set up and utilize a CME in both child custody and complex financial matters. This training may be completed in person or via Zoom. After a 1 hour consultation, you will design your own program based on your skill level and knowledge of conflict resolution literature. This training may be completed in person or via Zoom. After a 1 hour consultation, you will design your own program based on your current profitability and satisfaction of your practice. 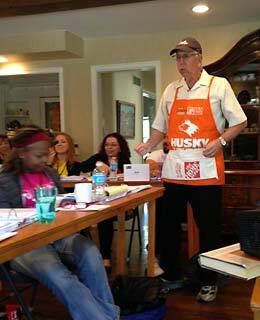 Nationwide participants join Woody and Adam Cordover, Assistant Trainer from Tampa, Florida. 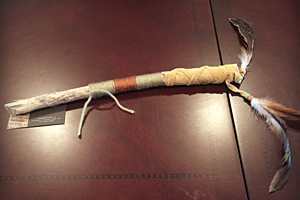 The proud graduating class shows their certificates after the Circle Closing Ceremony with each training participant using a Native American talking stick. Seated: Woody and Sandra Crawford, Assistant Trainer who is a Collaborative Lawyer and Mediator from Chicago, Illinois. The proud graduating class shows their certificates after the Quaker Circle Closing Ceremony. Seated: Woody and Enid Miller Ponn, Assistant Trainer who is a Mediator and Collaborative Lawyer from Weston, Florida. 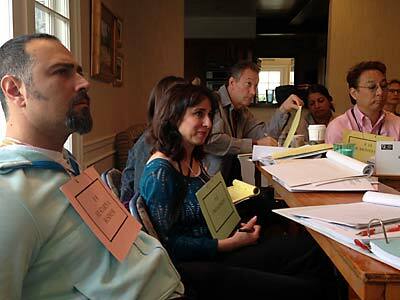 Participants in 2014 Divorce Mediation Training interactively learn 14 ways to handle date of separation for property and support issues in mediation. Smiling Graduates with their certificates and CLE Credit! Seated with Woody are Gwen Mathewson, Assistant Trainer (Seattle), Dr. Jody Mosten, and Jazz Mosten, a Katrina rescue dog with over 600 hours of mediation training! 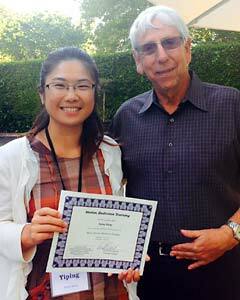 Yiping Wang, who has studied mediation in China and Japan and currently is on the staff of the Asian Pacific Dispute Resolution Center in Los Angeles, receives her certificate of completion of the 40 Hr Basic Divorce Mediation Training. In a small world story, Yiping’s graduate school faculty advisor at Kyoto University, Professor Aya Yamada, was the host for Mr, Mosten’s mediation trainings in Kyoto and Tokyo in 2005. Yiping and Woody discovered this connection over lunch on the first day of the training during which the training participants and trainers eat together outside in the California sunshine. Yiping immediately emailed Professor Yamada who sent her greetings! Basic Divorce Training Closing Ceremony to which family and friends are invited. 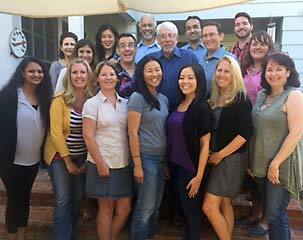 Woody Mosten with participants of his 2012 Basic 3 Day Mediation Course sponsored by the Asian Pacific American Dispute Resolution Center in Los Angeles. 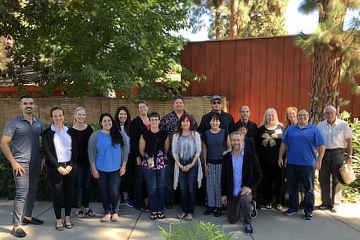 Woody offers mediation and dispute resolution training for many non-profit organizations such as the Hopi Indian Tribe, Private Elementary and Upper Schools, and Governmental Agencies. 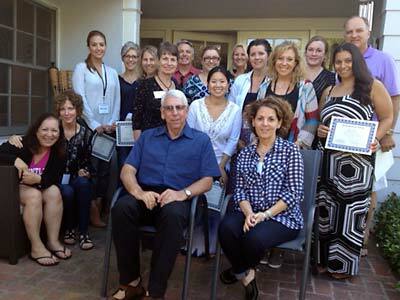 Basic Divorce Training Graduates say goodbye after receiving their certificates. 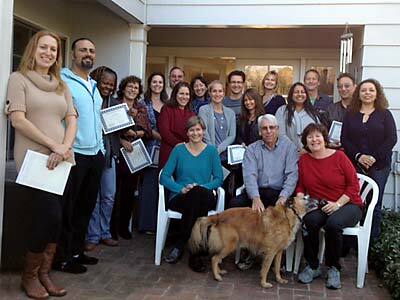 Many Mosten Mediation Training graduates stay in touch through email groups and Woody's monthly training groups. Woody Mosten is dedicated to providing quality interdisciplinary training for Collaborative Practitioners and Mediators on all levels. In addition to covering the basic and advanced skills, our curriculum incorporates peacemaking values and family centered strategies into all of our courses as well as planning and tips for you to successfully build your practice. Interview of Forrest (Woody) Mosten with Brian Edwards of Navigating to Next. This two-day workshop has been designed for Collaborative Professionals and Mediators with a variety of backgrounds ( lawyers, mental health, financial and other professionals, businesspersons, and clergy) who have private practices or wish to open up their own practice. 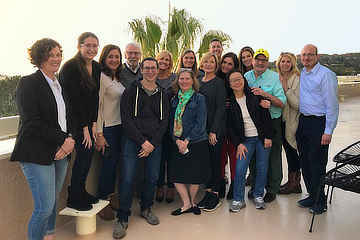 The course employs a cutting edge interactive curriculum to help participants grow their dispute resolution practices and increase their financial profitability as mediators, negotiators and mediation advocates, working in interdisciplinary teams, and how to market and manage your practice. Course Participants receive a 350 page custom manual that has evolved to remain current since Woody’s first basic family mediation training in 1987. Complete Guide to Mediation, 2nd Edition (with Elizabeth Potter Scully, 2015) and Mediation Career Guide are recommended to be read before the course. 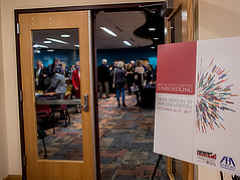 The first day will concentrate on interdisciplinary co-mediation and assembling a team of lawyers, mental health and financial professionals and working with that team inside and outside of mediation sessions. Use of the disqualification clause for the team members will be demonstrated. The second day will focus on effective teamwork in collaborative practice. Forming teams with clients, between lawyers, and with mental health coaches, child specialists, neutral financial professionals, clergy, and other team members. Particular attention will be devoted to conducting productive team meetings and communication within joint sessions. This training is for mediators, lawyers, and other collaborative professionals who want to maximize client centered decision making in mediation and in building pre-marital agreements. Many family lawyers treat mediation as the next step of the litigation process and import adversarial negotiations into mediation rather than as a safe impartial container to resolve all disputed issues. This course will show how the disqualification clause can be successfully used by mediators and lawyers to reduce the chance of premature termination when the going gets tough. Woody will take participants step by step through the introduction of the use of a collaborative team into the mediation process, negotiation of the disqualification agreement with parties and lawyers, how lawyers can work outside sessions or attend sessions with their clients and how the disqualification clause takes effect upon termination of mediation. On the second day of this training, participants will journey into a collaborative team approach of negotiating premarital agreements. Instead of presenting oppressive drafts to a less powerful fiancée, you will learn how to conduct joint meetings with fiancees and the collaborative team (often including mental and financial professionals) to produce a jointly drafted agreement based on the shared values and marital vision of the couple regarding financial roles, accumulation of assets, and spousal support should the parties ever separate. You will also learn how to build in collaborative protocol for modification and implementation of the agreements made by the parties. Texts: Mosten and Scully, Complete Guide to Mediation and other customize forms and client materials. This training may be completed in person or via Zoom. After a 1 hour consultation via , you will design your own program based on your skill level and knowledge of interdisciplinary collaborative literature.